It’s been rumored for as long as Disney has had the rights to the Star Wars franchise, but we may be finally about to see a standalone Boba Fett film from the sci-fi galaxy far, far away. According to the Hollywood Reporter, James Mangold, director of the fantastic X-Men spin-off movie Logan, is set to helm. It’s also expected that he’ll be joined by Simon Kinberg, who worked to co-write the Logan script with Mangold, in a both a writing and producing role. Simon Kinberg also wrote and created the superb Star Wars: Rebels animated series. Logan, telling the story of an ageing Wolverine (Hugh Jackman), was a fantastic action film, earning Mangold an Oscar nod for best adapted screenplay. The news comes as Lucasfilm and Disney prepare to launch Solo: A Star Wars Story this week, the first of the current wave of Star Wars films to focus in on just one character for George Lucas’s universe. Could it be that the Boba Fett film would be a sequel to Solo? 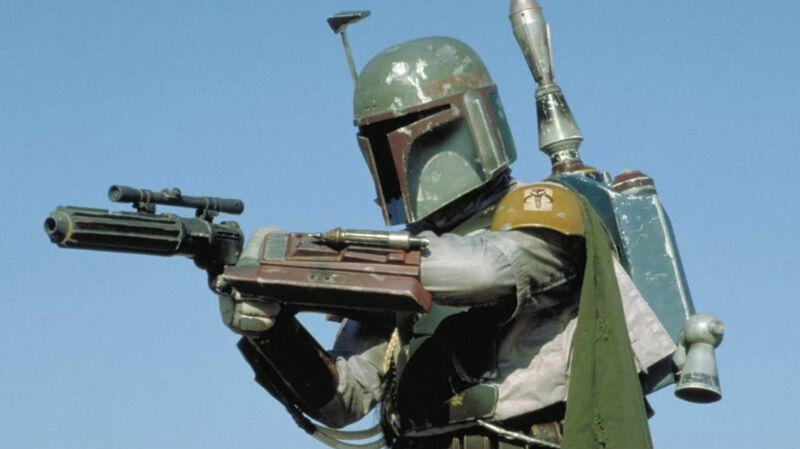 In the original trilogy (to which Solo is a prequel of sorts) the bounty hunter Boba Fett was Solo’s nemesis, with Fett constantly looking to hunt down the owner of the Millennium Falcon. With Solo star Alden Ehrenreich reportedly contracted for two more movies, it’d make sense to see the two characters face off at some point. Fett, originally played by British actor Jeremy Bulloch, originally appeared in 1980’s Empire Strikes Back, and quickly became a fan favorite thanks to his cool composure and array of gadgets. The less said about his revival in Episodes I through III, however, the better.